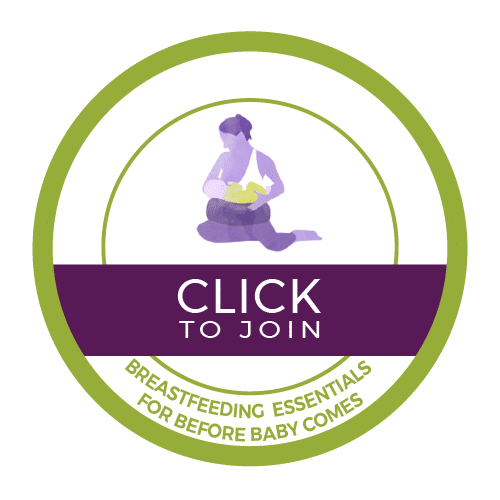 Join us for our online, self-paced course, Breastfeeding Essentials: For BEFORE Baby Comes! Feeding your baby is one of the most deeply connecting activities you will do together. If you want to breastfeed, you need a little support. The American Academy of Pediatrics and the World Health Organization both recommend breastfeeding for at least one year. Of course, making the decision whether you will breastfeed or not is a very personal choice. But out of the many moms who do want to, many may feel it’s not working, and never get to have the experience they dreamed of. They were unfamiliar with what an effective latch looked like and how to achieve it. They thought it would be instinctive. In truth, we have always learned from sisters and mothers breastfeeding around us. Many of us have never been around it, so we need a little guidance. Being a first time mom is hard. We’re sleep deprived, anxious about whether we’re doing everything right, and life has just suddenly and completely changed forever. Preparing yourself can help you approach these challenges from a calm, clear place so you can make choices that result in an easeful connection between you and baby. Register for Breastfeeding Essentials for only $75! Or, join us for our 6-session, live Empowering Birth Class and receive this Breastfeeding course FOR FREE! Rebecca was my savior during the early weeks/months of my breastfeeding journey. She was loving, warm, gentle and always available when I felt defeated. She never gave up on me offering all her guidance in positioning and latch techniques. And after 2.5 years postpartum, I am still breastfeeding and it is the best thing I have ever done for my child and for myself! Thank you Rebecca for believing in me and being the best support partner on this journey. You are invaluable! Rebecca is amazing. She is the perfect combination of knowledgeable and friendly. She was easily able to accurately assess the lactation issues my baby and I were having and gave really good advice. She’s not at all pushy or judgmental and made me feel significantly better after leaving the consultation. I was so stressed before the appointment, but, got home and started her recommendations. I highly recommend Rebecca without any reservations for all of your lactation needs. Rebecca was incredible. She totally reassured us that we weren’t the “bad parents” we’d chalked ourselves up to be, explained exactly what was going wrong, and helped us find a method that, several weeks later, has worked every single time. She called us completely out of the blue over the subsequent weeks to make sure all was still working, and has always been available over the phone to answer questions. That single in-home consultation changed everything. Rebecca Burditt is an International Board Certified Lactation Consultant, Certified Nutrition Consultant, Certified GAPS Practitioner and Postpartum Doula. She is owner of The Pump Connection — a Los Angeles based private lactation practice — the founder of Breastfeeding U and is also in the process of launching her new business as a Holistic Maternity & Parenting Health Practitioner. 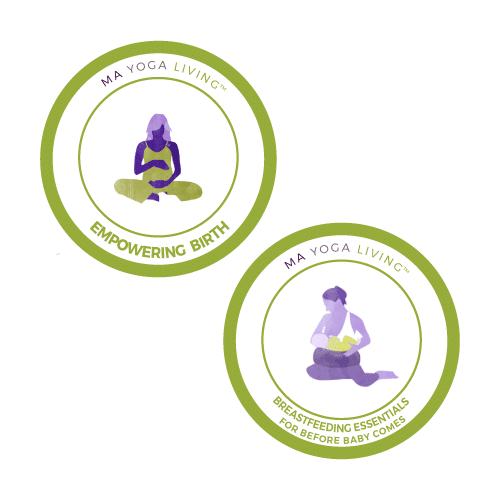 Her approach to breastfeeding wellness and education focuses on an integrative approach and bringing instinct and intuition back into the breastfeeding relationship. As a mom who has birthed and breastfed five babies of her own, in addition to her professional lactation training, it is her passion to educate, empower and support mamas as they transition into motherhood. More info about Rebecca and her services can be found at Breastfeeding U. Join us for Breastfeeding Essentials: For BEFORE Baby Comes! Join the email list for this course and we’ll give you access to the course outline!